Opponents of free markets claim that the economy needs to be "directed" or "managed," usually toward some kind of vague social goal or "common good." In other words, we sacrifice some economic liberty for personal liberty. 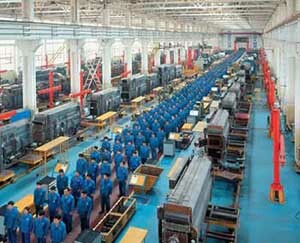 However, this belief in socialism - and I'm defining that as state control and planning of resources and production - makes two incorrect assumptions: first, that there is a universally agreed-upon ethical code about what measures to take on what issues, and second, that it is possible to effectively direct and manage an economy without destroying the rights of the citizens. "There are certain functions of the state on the exercise of which there will be practical unanimity among its citizens; there will be others on which there will be agreement of a substantial majority; and so on, until we come to fields where, although each individual might wish the state to act in some way, there will be almost as many views about what the government should do as there are different people." In other words, the state will eventually have to make judgement calls that ignore the liberties, opinions, and values of a substantial portion of the population for the benefit of a smaller portion. One group will lobby against the other, and another against another, until there is total gridlock and no government action. "The statesman who should attempt to direct private people in what matter they ought to employ their capitals, would not only load himself with a most unnecessary attention, but assume an authority which could safely be trusted to no council and senate whatever, and which would nowhere be so dangerous as in the hands of a man who had folly and presumption enough to fancy himself fit to exercise it." We've already established that an economy is the people acting on an individual basis through a multitude of means to achieve their own personal goals. So if someone were to assume the task of controlling that activity, they would literally be aiming to control all of human life. For example, with a state-controlled economy, the planner would eventually have to regulate the daily habits of every citizen - foods eaten, amount of water consumed, exercise regimen, etc., all the way down to how many hours of sleep a citizen gets. Government will have to set quotas on sheets of toilet paper used, how much gasoline can be purchased at a time, how many razor blades should be produced, and even where workers live and what they think. "Most planners who have seriously considered the practical aspects of their task have little doubt that a directed economy must be run on more or less dictatorial lines. That the complex system of interrelated activities, if it is to be consciously directed at all, must be directed by a single staff of experts, and that ultimate responsibility and power must rest in the hands of a commander in chief whose actions must not be fettered by democratic procedure, is too obvious a consequence of underlying ideas of central planning not to command fairly general assent." Effective central planning by itself is impossible. Effective central planning with regard for freedom is incomprehensible. Really, the only economic system compatible with liberty is free-market capitalism, in which resources and production are controlled by individual people and not interfered with by the government. Free market capitalism is the best path to prosperity as Larry Kudlow's says every night on the Kudlow's Report. I heartily agree! Socialism only works on a small scale and in a voluntary way such as an Israeli Kibbutz. 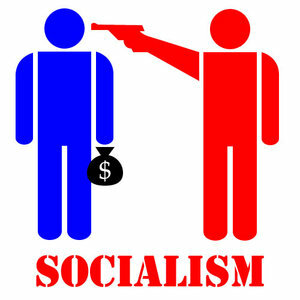 National socialism is only code for theft and tyranny. 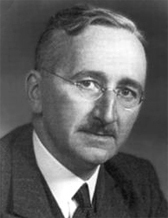 Democracy, as Hayek explained, is socialism with a vote.